Forty countries led by Japan and the European Union—but not the U.S. or China—have agreed to require new cars and light commercial vehicles to be equipped with automated braking systems starting as soon as next year, a U.N. agency said Tuesday. 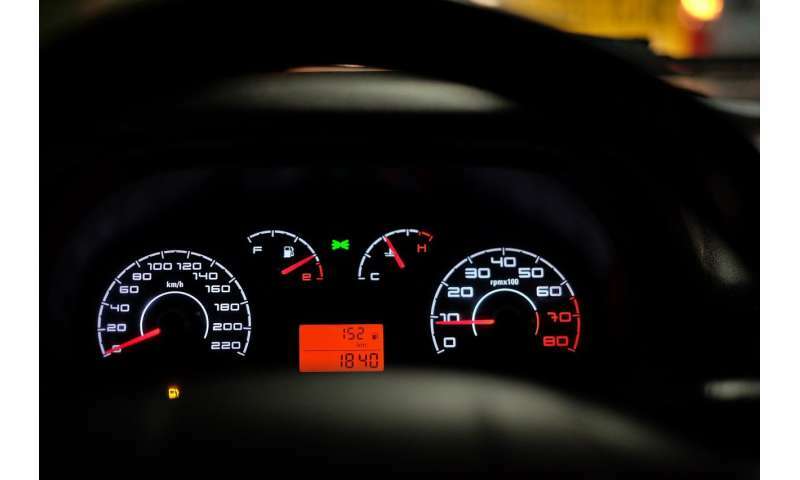 The measure will apply to vehicles at "low speeds": 60 kilometers per hour (42 mph) or less, and only affects new cars sold in the markets of signatory countries—so vehicle owners won't be required to retrofit their cars and trucks already on the roads today. The regulation will start taking effect next year first in Japan, where 4 million cars and light commercial vehicles were sold in 2018, said Jean Rodriguez, the spokesman for the agency, called United Nations Economic Commission for Europe, or UNECE. The European Union, and some of its closest neighbors, is expected to follow suit in 2022. 60 KPH = 37 MPH. Sixty kilometers per hour is thirty-seven miles per hour.